BOOK STUDY- Are you interested in a book study group? 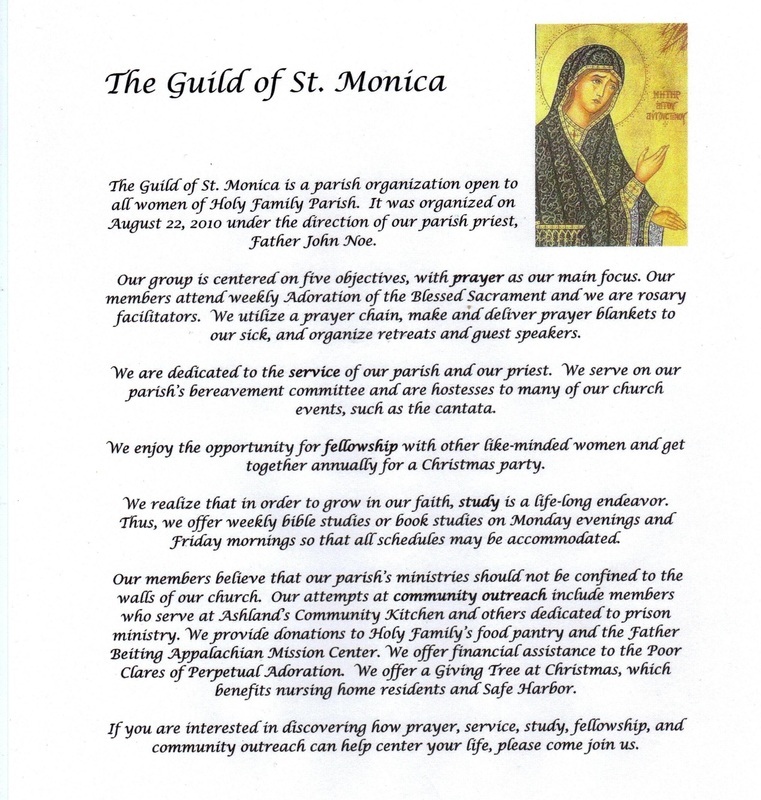 The Guild of St. Monica’s meet on Friday mornings at 9 a.m. in the Undercroft.and everyone is invited to join them. Prayer blankets are a ministry that is provided through The Guild of St. Monica's. These beautiful blankets are homemade with love and care. Do you know someone who is ill or just in need of comfort? If so, then see a member of The Guild of St. Monica's.